An emergency general assembly meeting has been conveyed to discuss and approve the reviewed budget for the 2018/2019 academic year. The meeting was held to conclude on key issues that were not concluded in the earlier general meeting held. Key among the components that were recommended to be reviewed, was the purchase of a new bus. 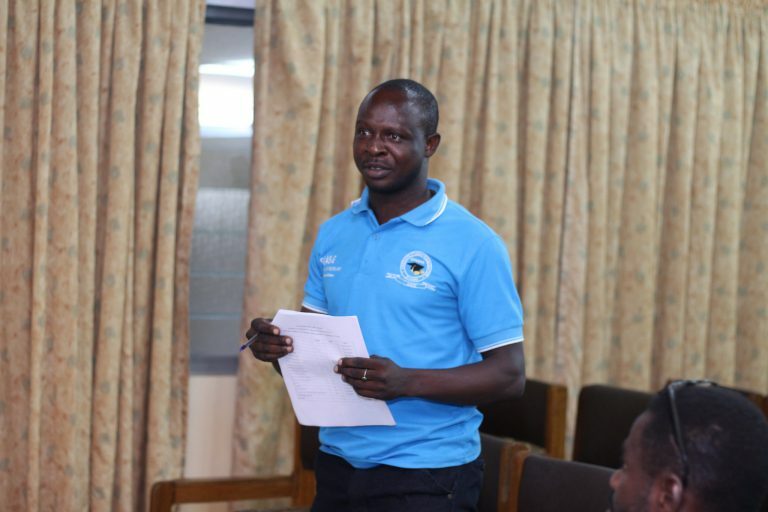 At the last general assembly meeting there were divergent views from the house whether to secure a Toyota Hiace mini bus to replace the old vehicle, or go in in for a Coaster bus. Members agreed that the executive council should be allowed to meet and deliberate on the concerns raised and report back to the house. 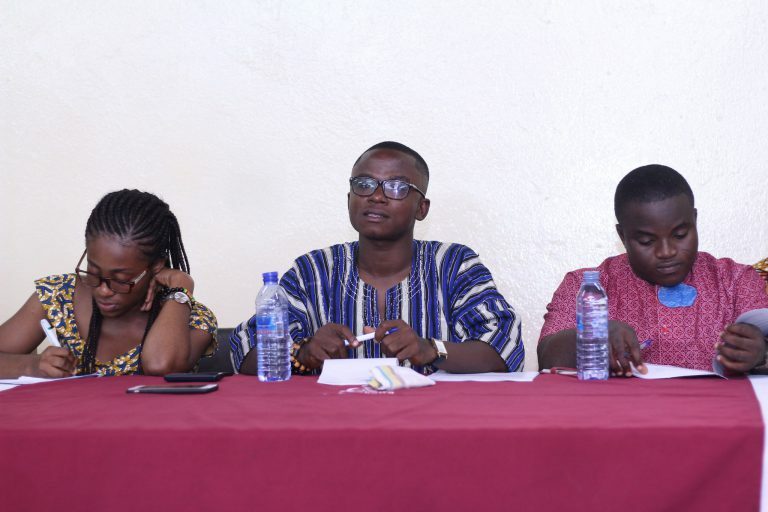 Addressing the house at the emergency general meeting, President of the Association, George Sarfo revealed that the executive council upon their meeting has found it necessary to review the budget and cut down cost to allow the purchase of a Toyota Coaster 30-seater bus. From L-R is Benedicta Sarfo Arthur, Secretary, George Sarfo, association President and Frank Baafi who sat in for the Chief Justice. In achieving this goal, contingency amount and the percentage of dues left for the next administration were adjusted to pave way for the purchase of the new vehicle while communications and transportation allowances were reduced by 40% and 44% at the presidency and other executive members level respectively. The Financial Secretary Godwin Adolf Idan and the Treasurer Enoch King Mensah lead discussions on the reviewed budget in the house. 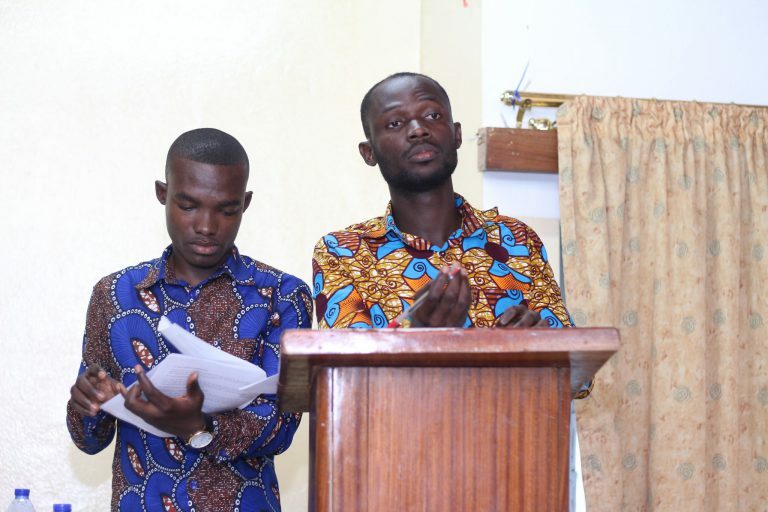 The honourable Senator for Mphil Curriculum and Teaching Maximus Diabere, expressing his views on the reviewed budget.